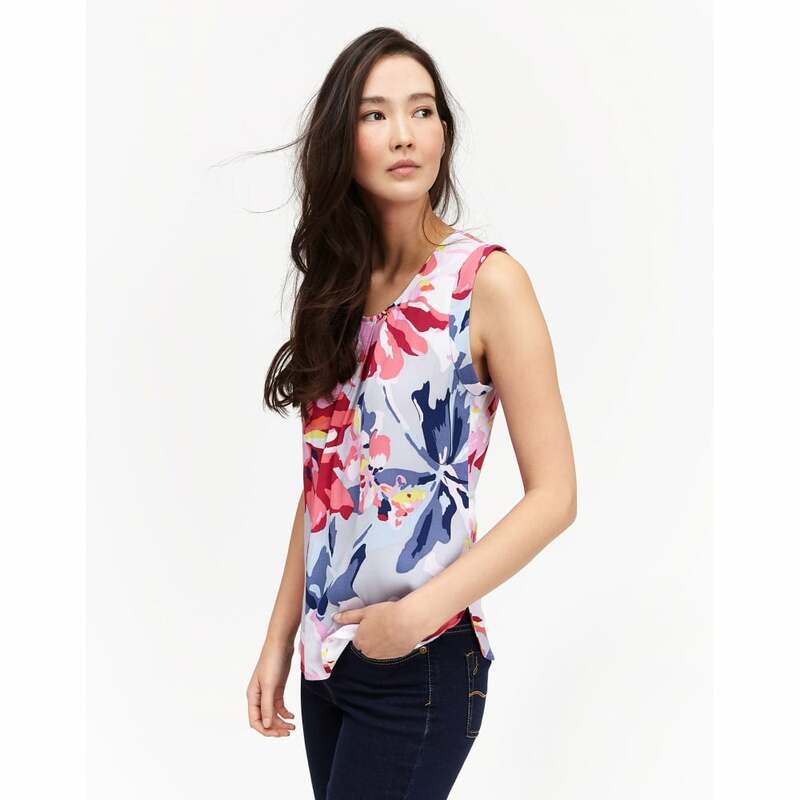 Perfect to layer or wear on its own during the warmer weather the Alyse Printed Top from Joules is an ideal wardrobe staple for the seasons ahead. Created with a beautifully fluid draping fabric this top has a simple round neckline with flattering simple gathers. Great for the office or the beach this top is sure to be one of the most versatile pieces in your wardrobe.